How can you maximise Avios from Amex sign-up bonuses? This is Part 2 of our discussion on changes to the personal American Express card sign-up bonuses. The main article is here. This article was updated on 16th April to reflect changes in some sign-up bonus levels. Despite these massive changes, the good news is that it is still possible for a couple, starting from scratch with American Express, to earn 130,000 Avios fairly quickly between them. For most Head for Points readers who are NOT starting from scratch with American Express, you are where you are. Your activity with American Express over the past 24 months will determine what you can do going forward. There is nothing you can do to change it. 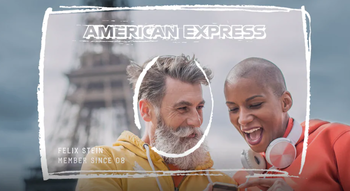 Even if you cancel all of your existing American Express cards today, you will need to wait 24 months before you can start on the strategies below. The only exception is if you qualify for an American Express Gold Business or American Express Platinum Business card. You would be able to apply for those after a gap of just six months from when you cancelled your previous American Express Membership Rewards-earning card. If you run a small business, there is still flexibility to earn regular sign-up bonuses by focusing on Gold Business and Platinum Business. If I have not had a personal American Express card before, what should I do? If you have not held a personal American Express card in the previous two years, you now need to use some strategic thinking. As far as I can work it out, here are three strategies which will allow you to earn more than one bonus on a personal American Express within a 24 month period. The reason for the order here is that if you got British Airways Premium Plus first then you would block yourself from all of the cards in the first list, except for The Platinum Card. The reason for the order here is that if you got The Platinum Card first you would block yourself from the cards in list one (apart from British Airways Premium Plus). Different strategies apply if you qualify for Gold Business or Platinum Business as they can still be cancelled and reopened every six months. Even if YOU no longer qualify for bonuses in the medium term, think about your partner. What has he/she had and what does he/she still qualify for? You can double up on the bonuses above. Even with the strict new rules, a couple (where neither has had a personal American Express card in the previous 24 months) could earn 130,000 Avios between them fairly quickly if each follows Strategy Three above. I took out the basic British Airways Amex card over December and have just got the 5k point bonus. I don’t spend enough to trigger for the paid card to be worth it. I was thinking of upgrading for the companion voucher. That aside is there a way to get another signup bonus with a different card? So you are free to apply for the Amex Platinum card & its associated sign-up bonus. Downside is obvs the £450 annual fee – but this is refunded pro rata when you cancel. Get in a few referrals @18K for you each time, max 5 referrals like this per year. You could get your plan together, enlist the help of mum & dad, bro & sis, best mate perhaps – hell, just throwing out ideas here: maybe you could refer them each for a free card then use it yourself as a supplementary! and mum & dad etc could join your BA household a/c and give you their welcome bonus as Avios! Then cancel Plat within a couple of months for low fees. Does adding someone as a supplementary cardholder affect their ability to get any sign up bonus? I cancelled my BAPP this Jan 2019 once I got the 2 for 1 voucher. When does the counter for £10k spend start again? Can I apply for the card now and start spending towards the 2 for 1? If you make a completely new application for the card then obviously you just have to spend £10000 on the new card. If you switched to the free card and want to switch back to the BAPP then it may be different, but should say on the Amex site. Can you switch from BAPP to free ba card, then back again to BAPP from the ba free card? Yes – you keep the same membership year and your card spend to date carries over. OT but no bits – things were a bit mad yesterday so I thought I’d keep it for today. Flying Star Al out of T2 today – any recommendations for best lounge? Flying J, have platinum and PP. Thanks all! United by a long distance but that means the 15 minute walk through the tunnel to 2B. He might be flying from 2B! Thanks both – will go for United. Hello guys. Going for Amex Rewards Gold. 2 questions please. 1) How long does the lounge passes take to arrive from when you first sign up? 2) Can you balance transfer an amount from Gold to another provider say Halifax Credit Card? Tesco credit card won’t accept transfers from Amex. And if you transfer to Hsbc card put 00 in front of Amex account number. Unless I’m missing something, it’s not clear if you can have the two cards (Strategy 1) at the same time or if they have to be sequential (close one, open next). Please could you clarify? Thanks! The fee makes it pointless. Better to simply form a BA household account with your Mum so your Avios are pooled for free.